Zumba is a Latin-inspired movement program that keeps you in shape through exhilarating, effective, easy-to-follow and calorie-burning dance fitness. It’s a combination of both dancing and aerobic steps. Zumba was first created in the 1990s by Alberto “Beto” Perez, a dancer and choreographer. In fact, it is now the latest trend going on in the world. Singapore has also been influenced to pick up and introduce this fitness program to its citizens. What is the purpose of Zumba? It gives you an insight into the Latin culture and dance. By picking up Zumba classes, many have also been inspired to take up Latin dance. Zumba helps to spread the philosophy of health, happiness and loving everything you do, especially your workouts. It aims to not only keep you in shape, but also increase your energy levels. Zumba involves dancing and aerobic steps, allowing you to burn huge amounts of calories. This is one of the most effective fitness programs for weight management. Zumba helps to tone your body and muscles through various aerobic steps. Most people tend to be unaware of this as they are having too much fun with the routine that they simply forget that exercises such as squats are also incorporated into Zumba. By participating in such an energetic fitness program, you’ll come to realise how much fun it is and forget about your problems and worries. The original Zumba Fitness class is suitable for teenagers to adults. It features exotic rhythms set to high-energy Latin and international beats to give participants a dance-fitness party. The Zumba Kids class is designed for those aged between 7 to 11. 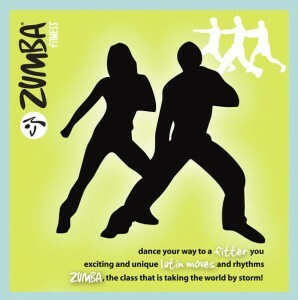 This class features music and movements that are tailored towards the young Zumba fans. The Zumba Gold class is an easy-to-follow program targeted at the more active seniors. Classes are modified slightly to cater towards low-impact movements and to allow participants to move at their own pace. As for those who are between 4 to 6 years old, the Zumba Kids Jr class is the right choice for them. Water Bottle and a Sporting Attitude!